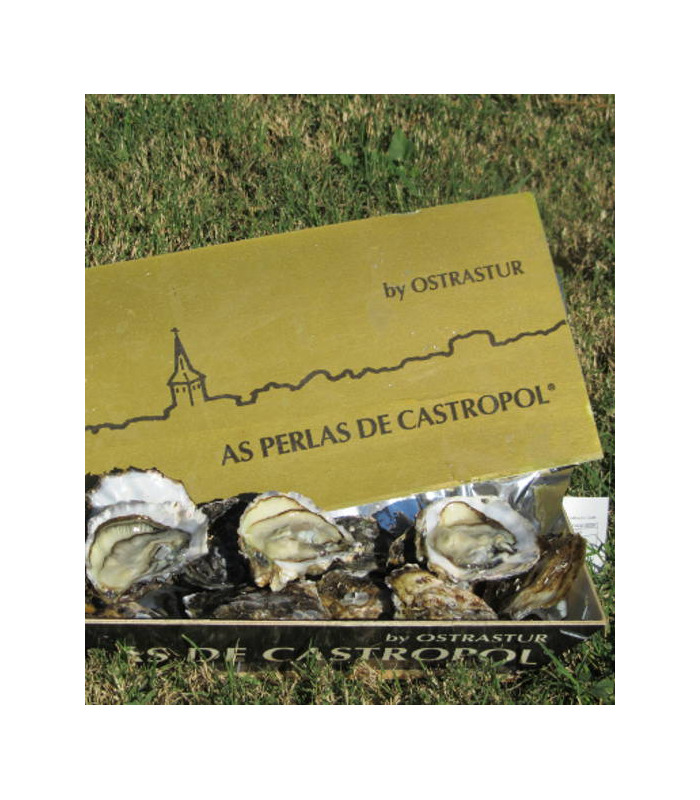 Box of 14 oysters AS PERLAS DE CASTROPOL of the Eo Estuary. Asturian oysters for oyster lovers with iodine and marine notes. Umami flavor! 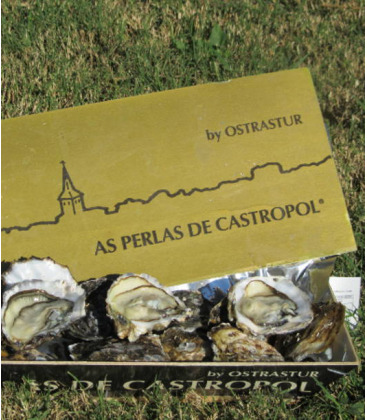 In the company Ostratur use the best seed and an artisan cultivation methodto raise its new oysters "As Perlas de Castropol" in the privileged environment of Castropol, in the estuary of theEOEstuary, natural border between the regions of Asturias and Galicia. With a rigorous and controlled culture in oyster rope we obtain an oyster of very high quality. Our "As Perlas de Castropol" are characterized by their high rate of compact and crispy meat, and a verybright pearl white. It has an "umami" flavor in which iodine and marine notes predominate and even milk (which has been dared to mention a big chef). Our oysters will seduce the most demanding oyster lovers.